A senior aide to Supreme Leader Ali Khamenei has rejected the prospect of renegotiating the Joint Comprehensive Plan of Action (JCPOA), the nuclear deal Iran signed with world powers in July 2015. 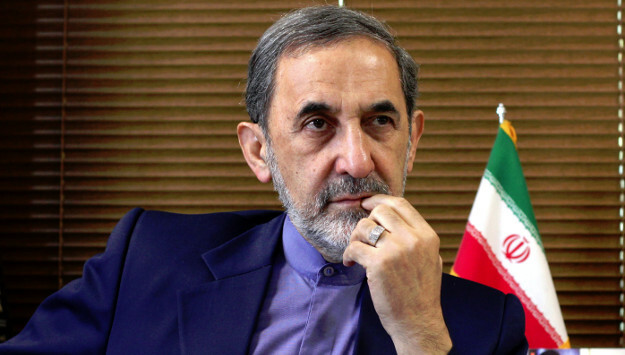 “We have honored our commitments, and the JCPOA is not open to renegotiation and review under any circumstances,” Ali Akbar Velayati, a former foreign minister who now holds several senior positions, told reporters. Asked about reports suggesting that Germany, France and Britain have warned President Hassan Rouhani to calm heightening tension in Syria, Velayati added: “The region is our region, and Iran is considered an important country in West Asia and has a right to respond positively to the voices of other nations that are Iran’s friends or are part of the axis of resistance. If Iran is asked to provide any advisory or other form of assistance that will help strengthen the resistance front, it will accept.” Khamenei’s top foreign policy advisor emphasized that Tehran will not curb its missile program or change its regional posture under Western pressure. Comment: US Secretary of State Rex Tillerson said last month that Washington and European powers have established working groups to discuss ways of fixing the loopholes of the Iran nuclear deal. This came after President Donald Trump threatened that he would terminate the Iran deal unless Congress and Europe changes the terms of the deal to put more pressure on Tehran to curb its missile program, stop its malign activities in the region, and accept permanent restrictions to its nuclear activities. Although European powers share Washington’s concern about Iran’s missile program and regional policies, they want to deal with those issues separately without undermining the nuclear agreement. French Foreign Minister Jean-Yves Le Drian is visiting Tehran in early March to discuss those issues with Tehran. But Iranian leaders have all rejected any talks about renegotiating the nuclear deal or linking the country’s missile program or regional presence to the nuclear file. Behrouz Kamalvandi, the spokesman for the Atomic Energy Organization of Iran, said today that Tehran might downgrade its commitments to the JCPOA if Washington changes the deal. President Rouhan echoed similar remarks earlier this month. “We will not negotiate about our defense and missiles,” he emphasized, adding that Tehran will continue to boost its defense power by producing more planes, missiles and submarines.